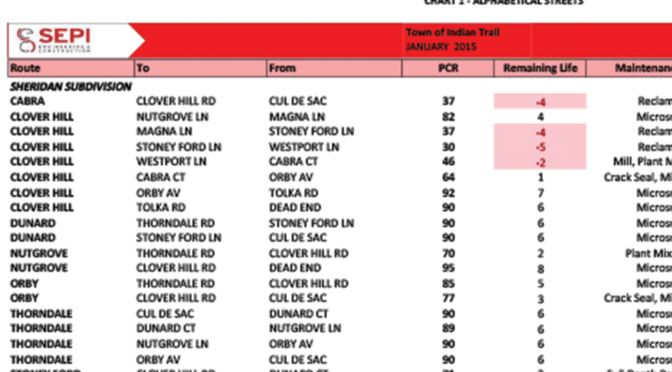 The Town of Davidson is a repeat client that called on SEPI to assess its pavement conditioning survey reports and verify the recommendations of those reports through site assessments. 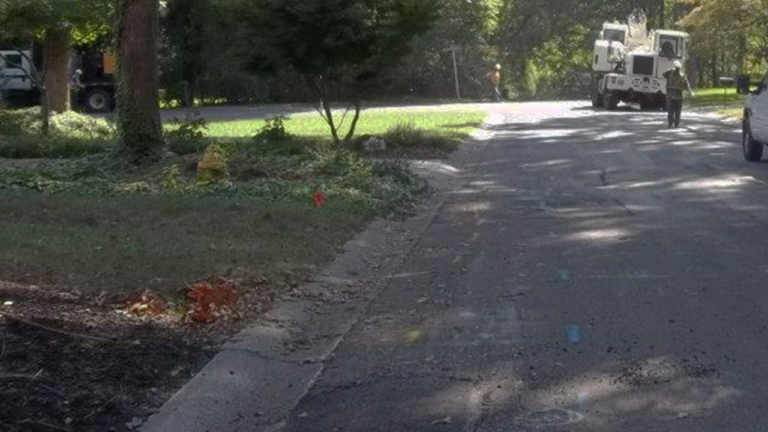 During site visits, SEPI gathered additional data by prioritizing repair needs for segments of pavement and collected other attributes such as utilities and roadway features that most needed repair. Based on these findings, SEPI provided life cycle cost-benefit analysis of recommended alternative paving options to the Town. 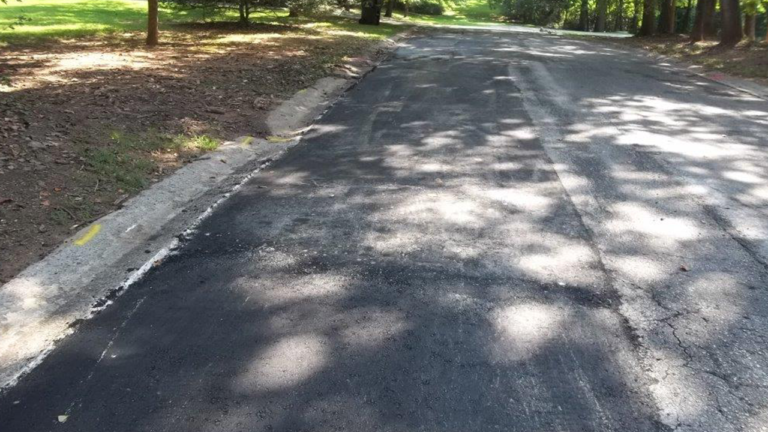 SEPI provided the Town of Davidson with street maintenance evaluations for optimal utilization of the annual resurfacing funds. 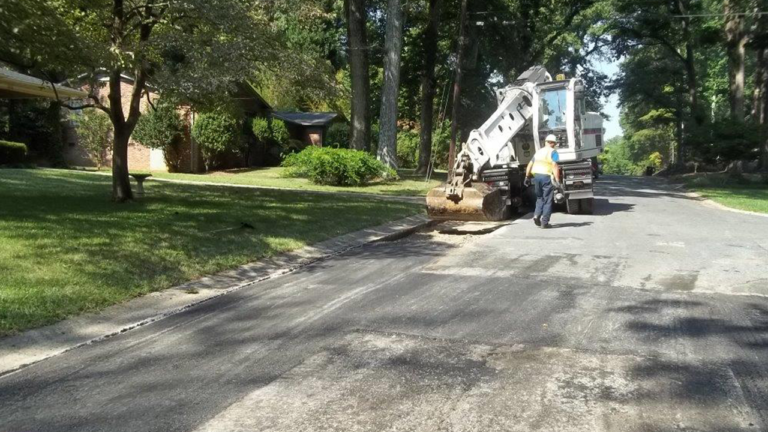 The project included recommendations for traffic control, pavement milling, bituminous surface treatment, chip seal, crack sealing, structure adjustment, full depth patching, temporary pavement markings, and thermoplastic permanent pavement markings. SEPI then assisted the Town with project bidding which included providing specifications and contract documents for bidding; soliciting bids and review the bid documents; and providing bid result recommendations to the Town. SEPI also provided construction management which included onsite observation to help ensure compliance with the contract specifications, oversaw monitoring the pavement repairs, and was responsible for material quantities which enabled the project to stay within schedule and budget.